Bliss out to the soothing sounds of quartz crystal singing bowls, combined with your session on the Amethyst Crystal Biomat. Having an outlet (with someone outside our life circle) to safely say what's been bothering us, to express our challenges, or share our secret new dreams is helpful to our well being. 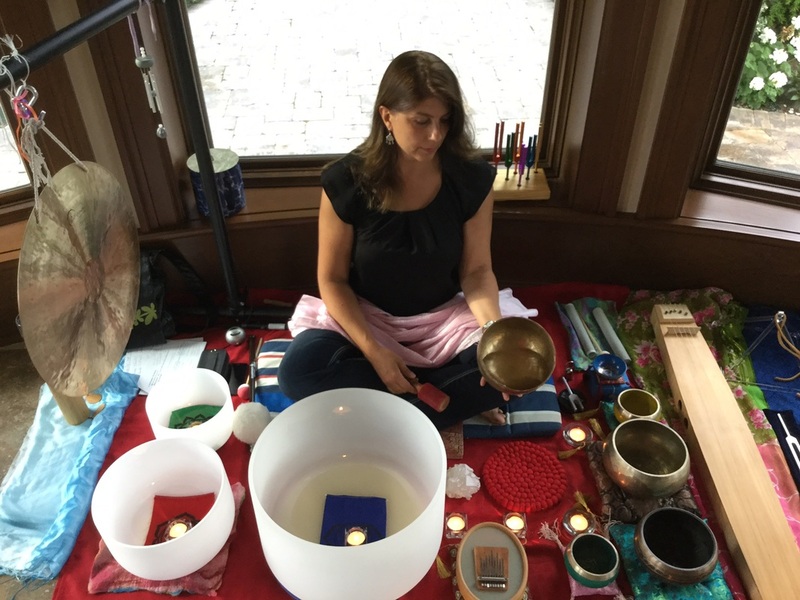 In addition to my sound healing, I offer confidential, safe and compassionate listening, as needed. 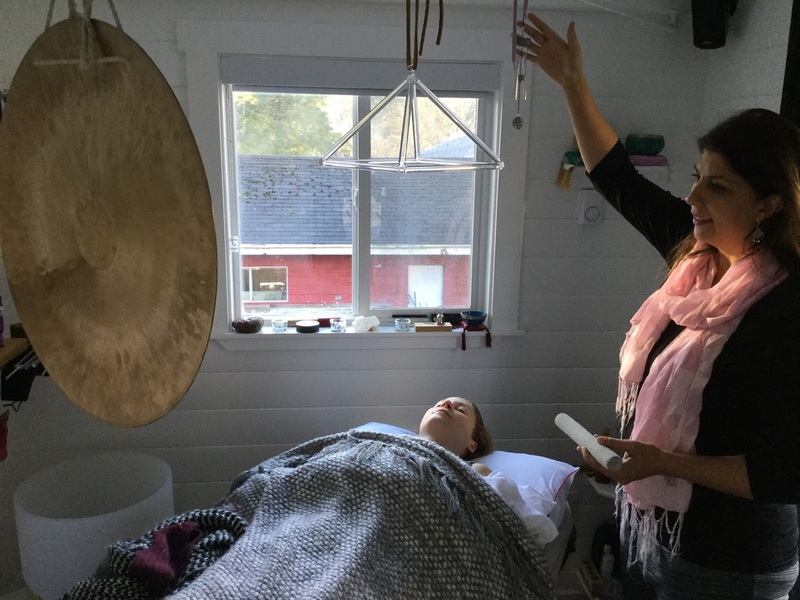 Enjoy original sound healing instrumental and vocal songs for your Savasana, massage therapy sessions, or uplifting relaxation. Improve your mood - sing along by toning Om, the Gayatri, and Asato Ma Sadgamaya mantras. 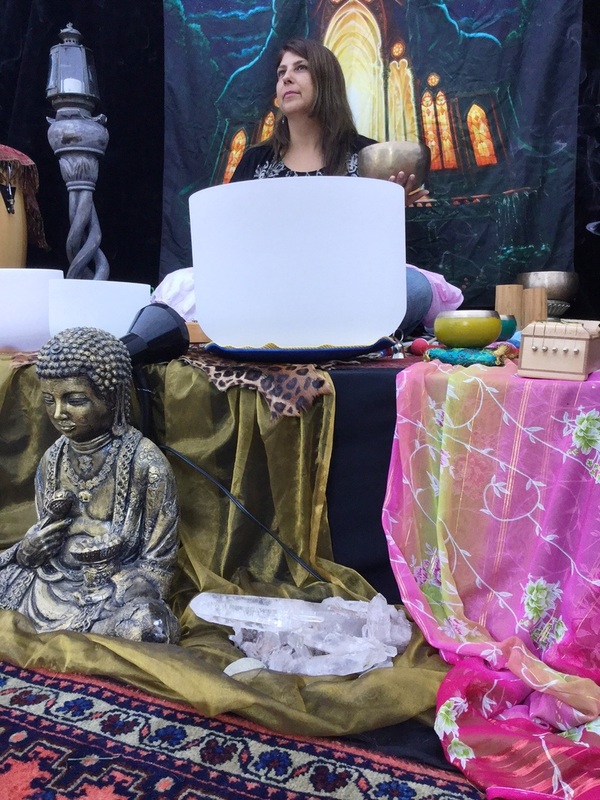 Listen to gorgeous sound healing instruments from around the world during your yoga practice, massage session, or to support your relaxation. 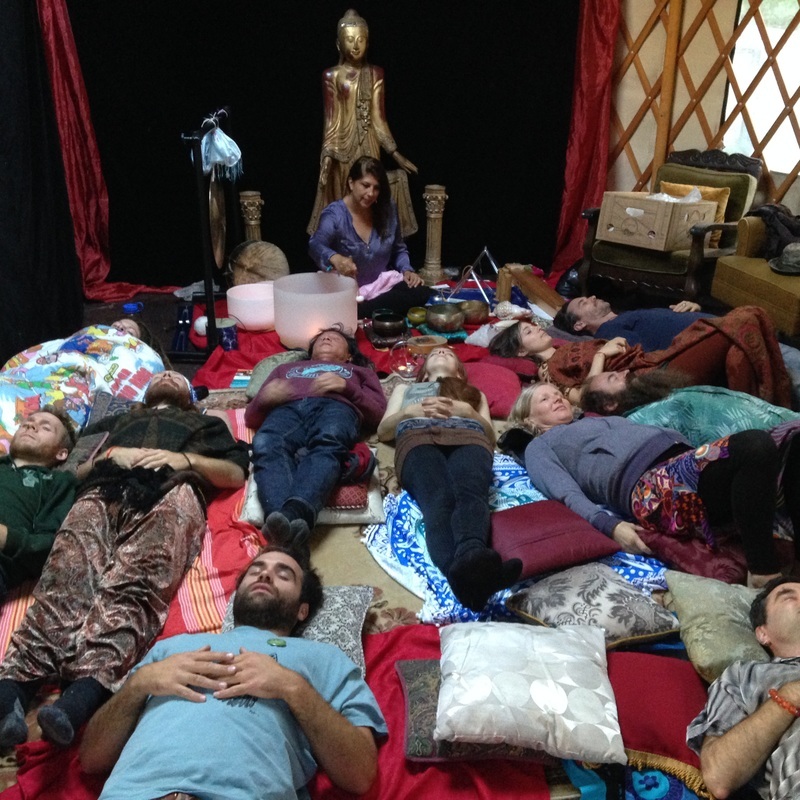 This is an instrumental sound healing performance. This 1-track long-play album features many acoustic instruments from around the world. 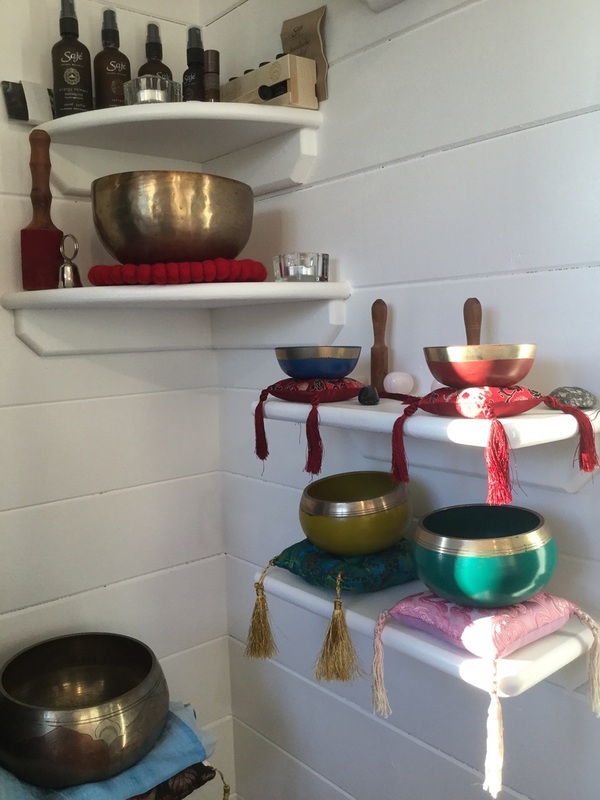 Enjoy crystal singing bowls, Himalayan bowls, a gong bath, and more. 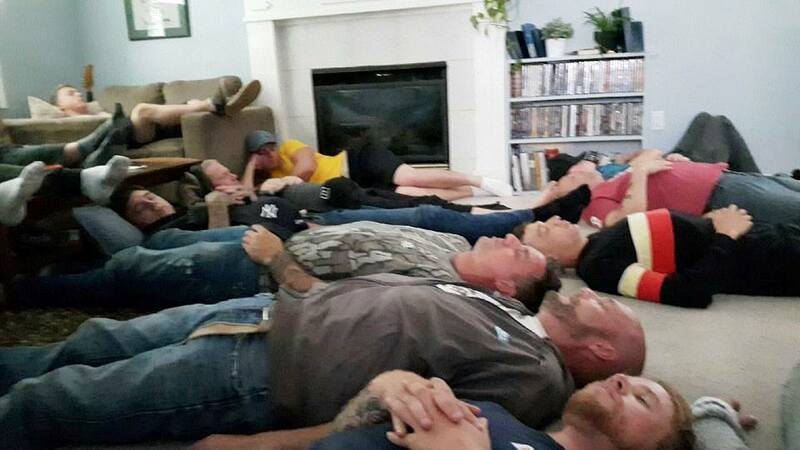 ​On its own, sometimes breath work can be downright boring. This song helps you calm the mind, stabilize your breathing to decrease stress and anxiety, improve your circulation, and feel a sense of relaxation and peace. Breathe in, breathe out, breathe in, chant Om. ​Click this link. Click. It will ask you to accept marketing - that's from me, so you can get the download! 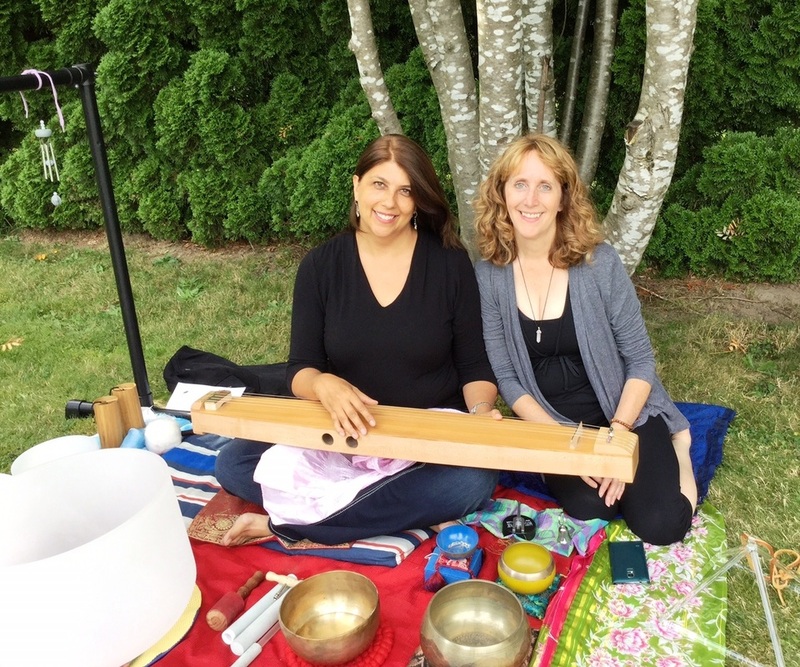 → Live, soothing acoustic music: Crystal singing bowls, Himalayan prayer bowls, gongs, tuning forks, tanpura, and more. Need someone to be a compassionate listener over the phone about issues going on in your life? Someone outside your life circle? I'm a very kind and open listener who can be what you need - just a listener, someone to offer you a compassionate perspective about what you're going through, a person who can offer you next step take action support, refer some reading materials to you, etc. Confidentiality guaranteed. Relax and enjoy the sounds of these beautiful instruments in a private setting. Learn about the theory of how sound heals us. 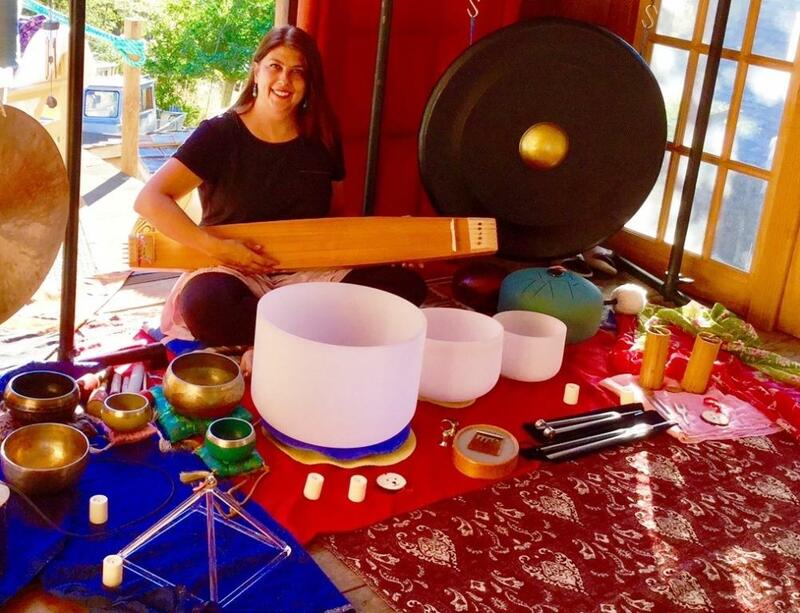 In a laying down or seated position, the sounds of the crystal singing bowls, Himalayan prayer bowls, gong, monochord, chimes, and more will be deeply relaxing, healing, and an experience to remember. 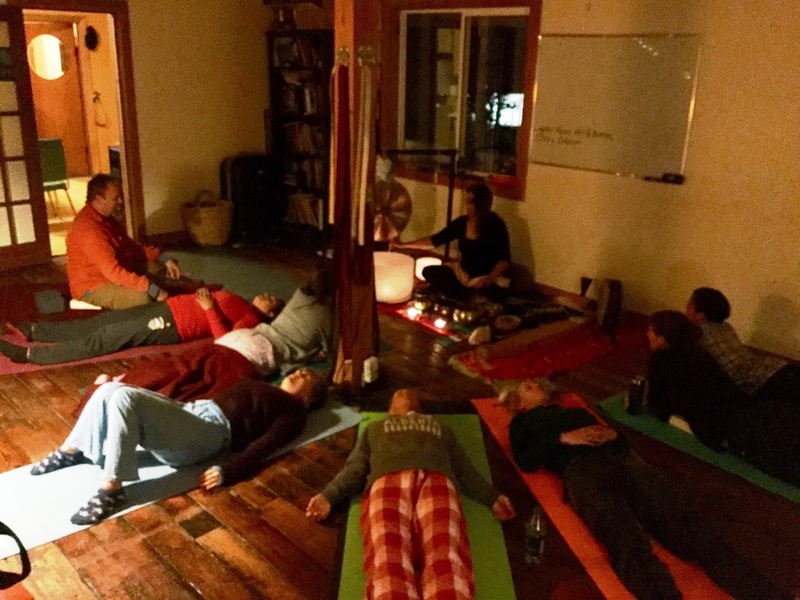 Participants are invited to join in toning (singing) OM, and other vocalizations appropriate to the element of the journey (e.g., chakras - vowel sounds, or bija mantra seed sounds). Please contact me to discuss your location, scheduling, and the fee. No stage or microphones needed. 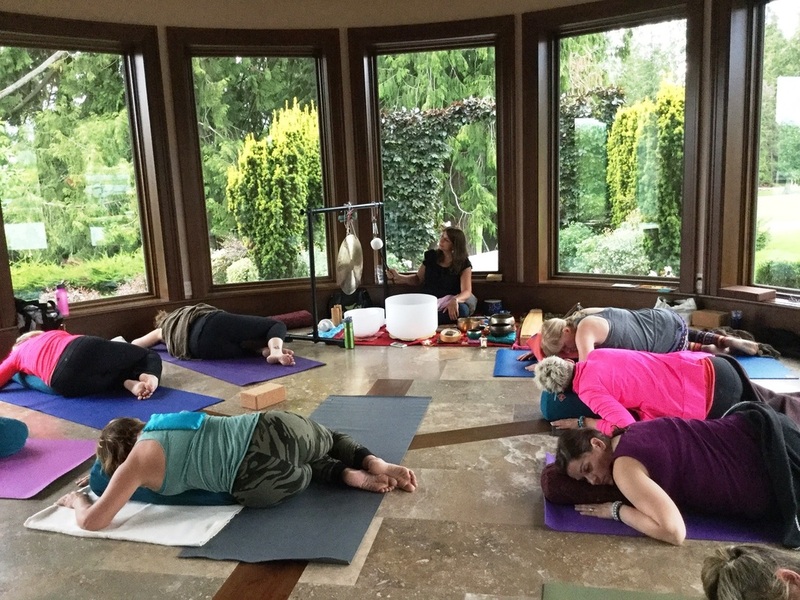 Appropriate settings include: private homes, hospice, addiction and mental health treatment centres, resorts, spas, festivals, and yoga studios. Bring live, acoustic music with these powerful instruments into your yoga classes, or yoga festival sessions - it's wholly complementary. 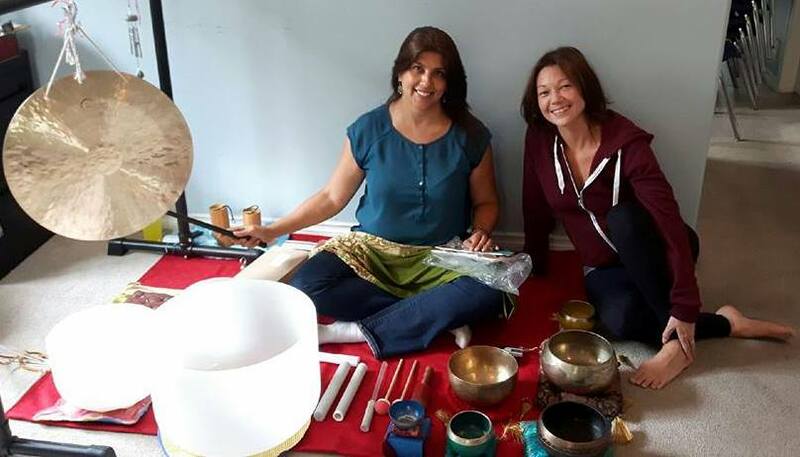 The sound waves and vibrations help clean and align the body, bringing an enhanced sensation of peace and harmony to your practise. Please contact me about rates & bookings. I set Rumi's poem There Is a Field to music, with the tanpura. Enjoy! 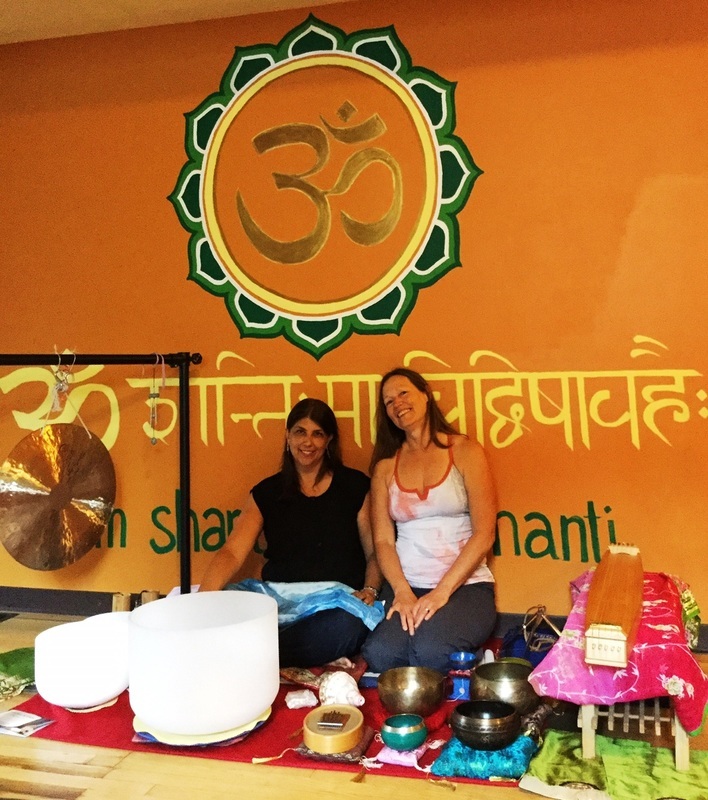 Relax while your auric body is tuned up and down the Sushumna (central nervous system), Ida and Pingala channels to bring a sense of balance and energetic cleansing. Tuning sessions can be helpful when people are looking to brighten their energies and make life changes. "The last bit with the tanpura and singing was my favourite. I forgot about everything. I even almost forgot my knapsack when I left!"